BRK First Alert® PC1200V Model Single station smoke and CO combination alarm is perfect for use in residential and institutional applications including sleeping rooms of hospitals, hotels, motels, dormitories and other multifamily dwellings. 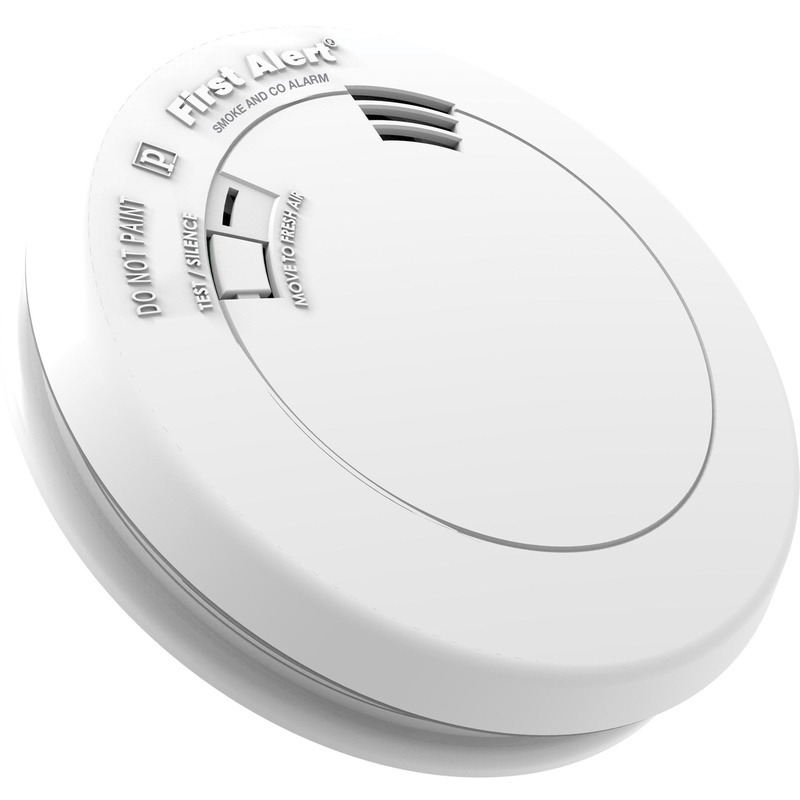 Alarm in white color, measures 5.7-Inch Dia x 1.28-Inch. It has noise level of 85 DB at 10 ft. Alarm incorporates photoelectric smoke sensor and electrochemical CO sensor to ensure maximum protection. This alarm with programmable location, gives voice warning that will tell you the programmed location and danger detected. This alarm automatically resets when smoke clears. It provides audible sound for end of life indication, power up indication, malfunction indication and low battery indication. It uses 3-Volt alkaline battery for reliable operation. This alarm supports mounting on wall and ceiling for making installation easier. It withstands temperature of 40 to 100 deg F. Alarm is UL/CSFM listed and meets NFPA standards.